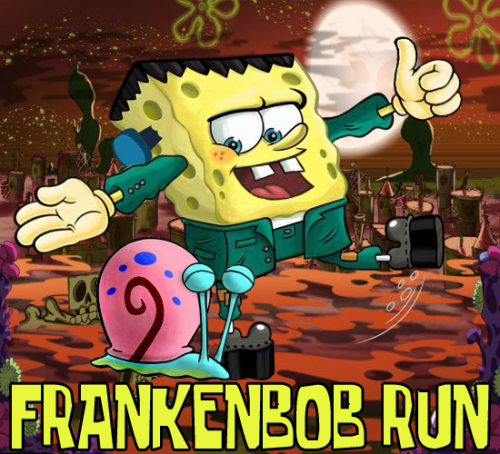 Description Frankenbob Run is a great funny, action games.Spongebob have a new Frankenbob costume for Halloween. Frankenbob going out on Halloween night for candies and cakes, but the others sea animals want that to. Frankenbob need to run fast and punch the enemies. Use mouse or keyboard (number 1-5), or mouse to beat all enemies.In every new level you must be faster. Enjoy!